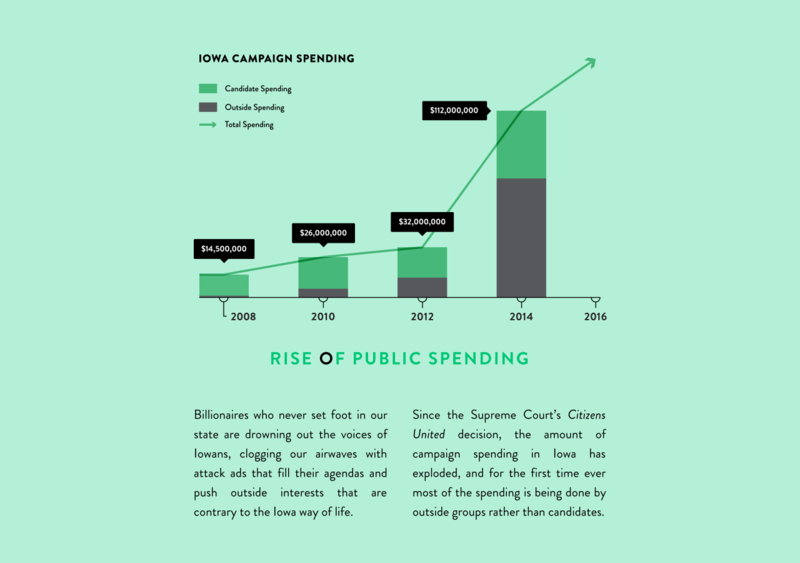 A non-profit, non-partisan organization highlighting how large sums of money in politics hurts Iowans. 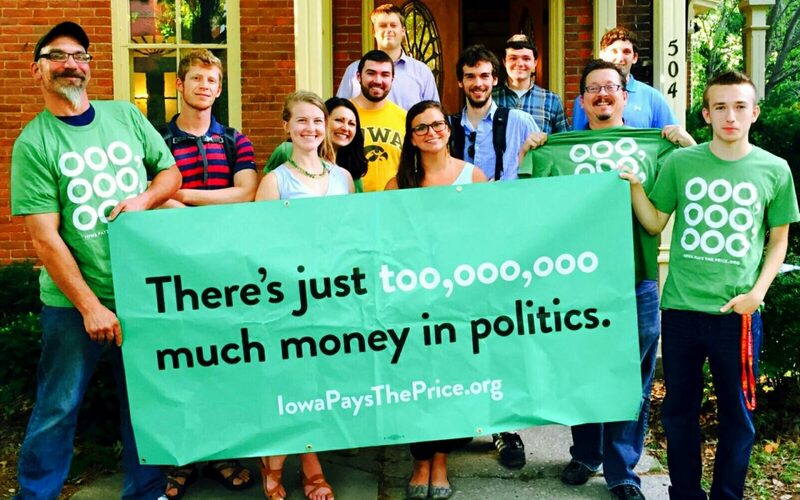 Iowa Pays the Price is a non-profit, non-partisan organization made up of Democrats, Republicans, and Independents created to highlight how large sums of money in politics hurt nearly all Iowans. They support increasing transparency in campaign finance, accountability for those who break the rules, and increasing participation in our democracy. Money in politics is getting out of hand. 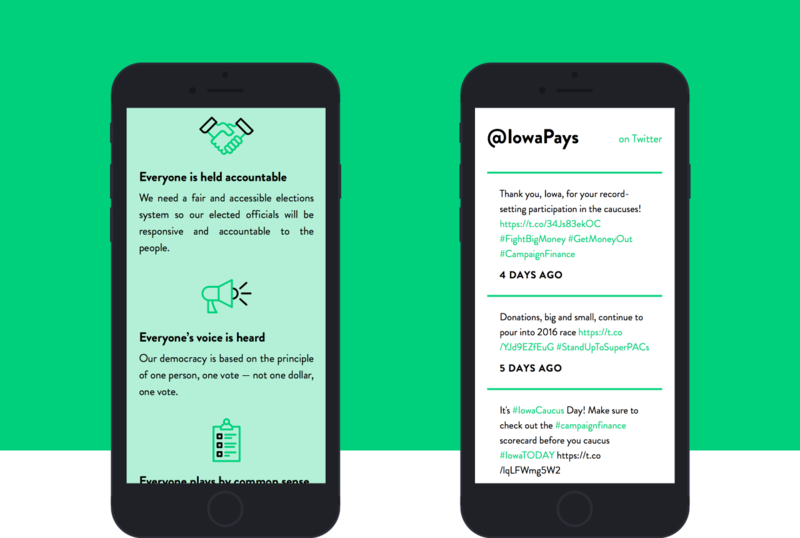 In Iowa, a new organization needed a modern, fresh brand to take on Big Money in an impactful way. The timeline was aggressive to create the overall design and get up a first-phase website. We looked at four different designs, from the gritty, “dark money” side of politics to an early 90s, State Fair vibe. 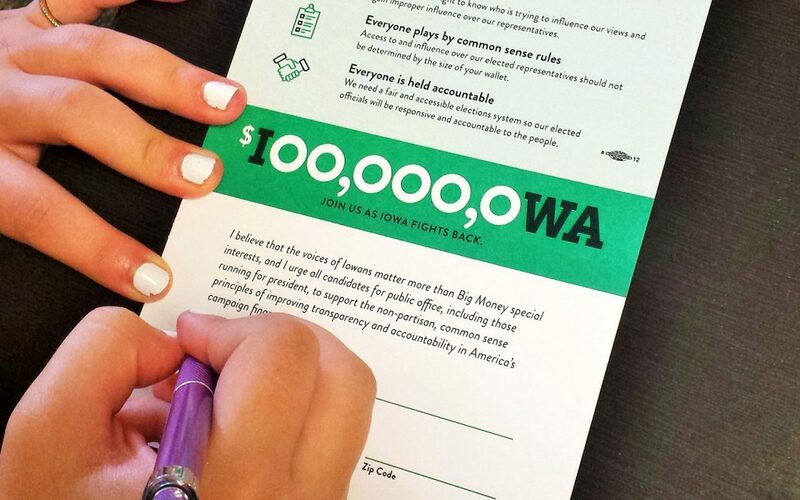 Design a brand for an organization to take on Big Money special interests. 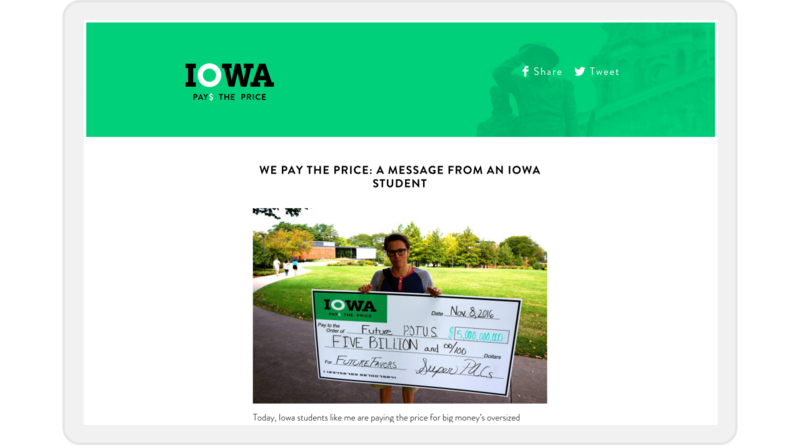 Develop a web presence to help the voters of Iowa fight back against the billionaires. 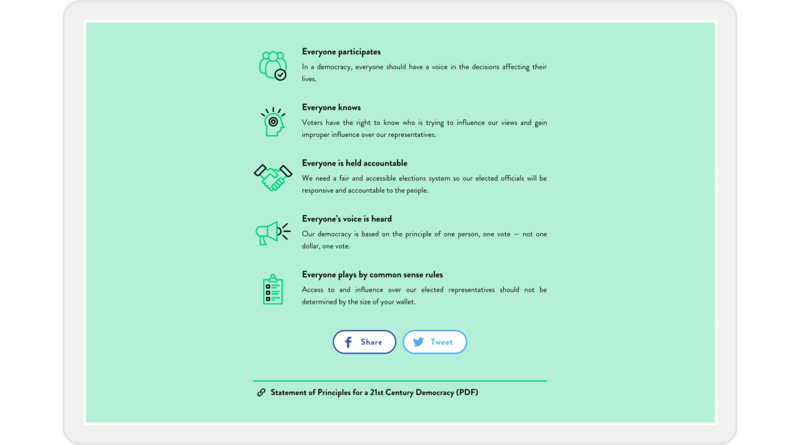 And create a campaign that can help the grassroots efforts reach people with a consistent message. We ultimately ended up on the money, money, money bombardment approach shown here. 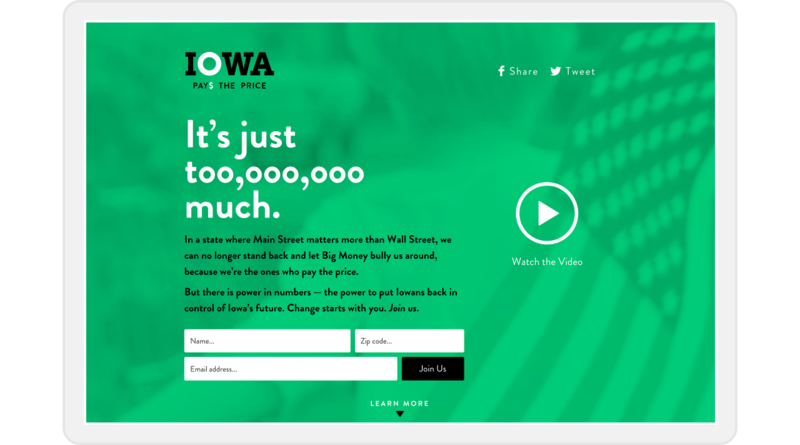 Once the concept was set, we picked an intense, vibrant green and then let all those zeros do most of the talking. 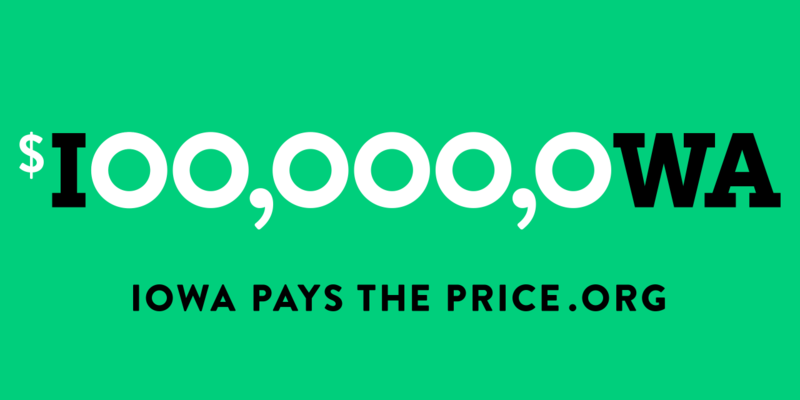 The website itself featured a campaign spending graph that tells you all you really need to know. Additional brand elements included typography styles, photography treatments, and an initial set of icons. Once the initial brand and website was launched into the world, additional deliverables have been executed to help get the word out. 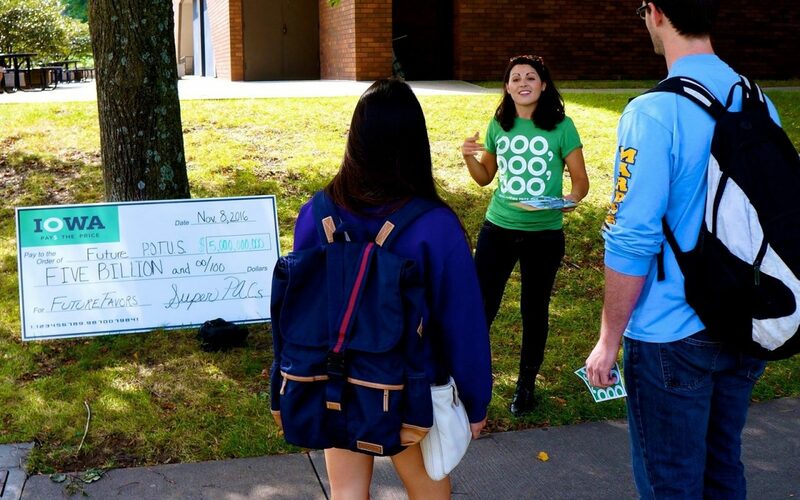 Digital ad series, business cards, t-shirts, and other collateral materials have been used by the organization on social media and on the ground. 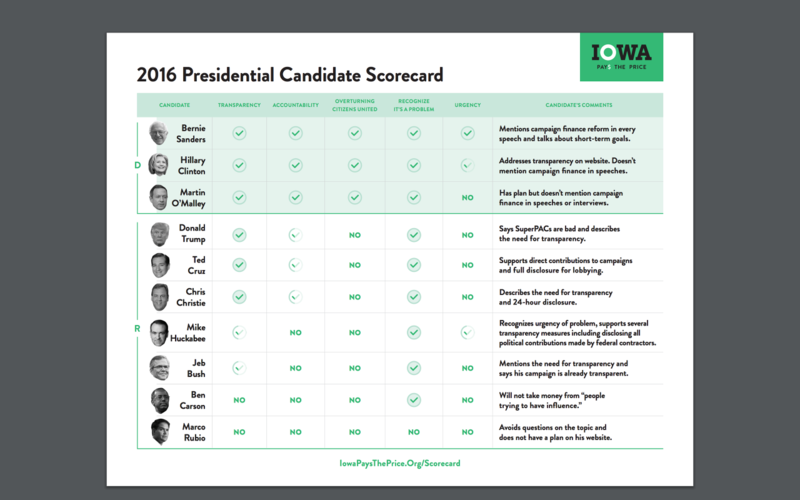 Iowa Pays the Price has been very active on Facebook and Twitter during primary season. They’ve also been working hard on the ground to mobilize the grassroots. As the Presidential field narrows, they will continue to be involved as we get ready to elect our next President in November. If you care about campaign finance, join the fight to put the power back in the hands of the people. 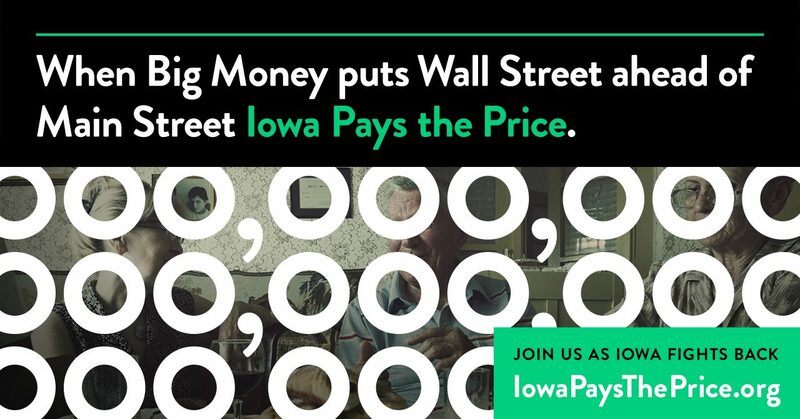 Facebook Twitter Email When Big Money puts Wall Street ahead of Main Street, Iowa Pays the Price. A balanced approach to energy development on public lands.